Viet Nam's dietary supplements have the potential for future development, but this is a new industry that requires Government support to improve production technology and expand in both domestic and overseas markets. 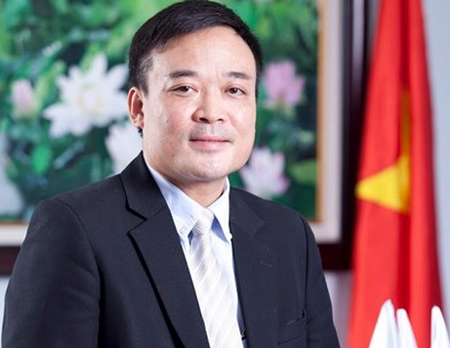 Nguyen Xuan Hoang, vice director of the Viet Nam Institute of Dietary Supplements told Viet Nam News about the challenges and opportunities facing this new sector at the Business Meeting Asia 2015 organised by the Asia Science Park Association and Hoa Lac Hi-Tech Park. What do you expect from this meeting? The business forum is a very important occasion for Vietnamese hi-tech companies to import modern technology and seek further co-operation with foreign partners. The Viet Nam Institute of Dietary Supplements (VIDS) has found some potential partners that are working in various fields such as nanotechnology and biotechnology. Compared to other domestic players, the VIDS is the only private unit that provides technical services such as testing dietary products certified by the Ministry of Health, and research to examine biotechnologies, process and produce materials, and transfer them to firms that are members of the Viet Nam Association of Functional Foods (VAFF). What do you think about the hi-tech industry in Viet Nam? The hi-tech industry is a very promising market, and hi-tech products are necessary for Viet Nam and the world. If Viet Nam's hi-tech industry is not improved, local firms may lose out to foreign players in both domestic and overseas markets. Foreign companies have been putting pressure on local firms since Viet Nam joined the World Trade Organisation (WTO) in late 2006. The country is also on track to reach the Trans-Pacific Partnership (TPP) agreements and other Free Trade Agreements (FTAs) with other countries and international economic blocs such as the EU, which are expected to bring us both challenges and opportunities. In Viet Nam, the hi-tech industry has failed to attract adequate attention from authorities. The country's main focus is on the export sector such as the textile and garment industry and agriculture, which have low added value. In my opinion, the country's main strength is the production of traditional medicine and dietary supplements using new technology, because we have abundant resources of natural materials and a long history of traditional medicine. How is the VIDS preparing for the opportunities and challenges the TPP will bring? The VIDS has prepared for the TPP by improving its facilities, investing more in human resources and increasing funding in the Hoa Lac Hi-Tech Park (HHTP) to attract high-quality workers. This aims to take advantage of new trade opportunities and make new partnerships to help Vietnamese products enter overseas markets. Our institute already exports some products to several overseas markets, but those products are having problems with consumers regarding technical standards. In order to produce dietary products, the VIDS has to export samples and materials to a third-party producer in the US as we do not have the technology to complete the production process. Then the completed products are labelled "Made in the US" and sold in Viet Nam and targeted overseas markets. Our products have failed to win local confidence as consumers and authorities in other countries are showing little confidence in Vietnamese hi-tech products. Viet Nam only has a comparative advantage in terms of material production over other countries, so outsourcing to a third-party country is not what we want as it increases our production costs and the end products are not labelled as Vietnamese. I hope that after the TPP and FTAs are reached, consumers in other countries will accept our products more willingly, and we no longer need to use a third-party country. What should Viet Nam do to improve the quality of dietary supplements on the international market? There are many things that Viet Nam and its science and technology companies and organisations need to work on in order to improve the country's position in the regional and global markets. First of all, the Government needs to support companies and organisations with policies that help them resolve general issues such as land fees, taxes, facilities and infrastructure, than fix the administrative system. The HHTP is a good example of how to provide support for hi-tech companies. Sound support policies will benefit and encourage more investments in the hi-tech industry as this is a highly profitable but also highly risky industry in Viet Nam. Dietary supplement producers should set up a value chain of creativity that allows leading firms to develop new technology that can then be adopted by smaller firms. Based on that, local firms will be able to improve their performance, create their own products and catch up with other players in the region and the world. Limited labour quality and productivity are also problems for Vietnamese companies, especially those producing dietary supplements. The country needs to improve the quality and performance of Vietnamese workers so that locally produced goods can meet the requirements set by regional and global markets. What are the opportunities for the country's dietary supplements in both domestic and international markets after the TPP is reached and tax barriers are removed or cut? The TPP is a big challenge with higher technical standards for all Vietnamese products, even when the tax barriers are removed or reduced. Vietnamese dietary supplement producers need to meet international standards such as the ASEAN Good Manufacturing Practices (GMP) by spending hundreds of billions of dong to upgrade their production facilities to catch up with other TPP member countries and produce their own dietary supplements instead of producing them in a third-party country as they do now. Three years ago, the VIDS started preparations for this day by founding a company that issues GMP certificates for products produced by VAFF companies.